When you’ve got a powerful computer, it’s all-but-guaranteed that your slowest component will be your hard drive. And depending on the task in question, your computer may be only as fast as its slowest component. The leap from HHD to SSD is monumental. It’s the difference between your computer booting-up in 15 seconds or 90 seconds. But SSDs are ultimately as slow as the SATA cables they use to send data. That’s why you can find an increasing number of drives that make direct PCIc connections, offering speed that makes standard SSDs look slow by comparison. Not everyone can make great use out of a sports car, and not everyone will need the kind of impressive performance you can get from these new type of SSDs. But like with sports cars, it’s easy to see why you would want one. Most top-shelf media PCs end up with speeds that are bottlenecked at the hard drive. A solid state drive makes that bottleneck less severe, but it doesn’t remove it entirely. 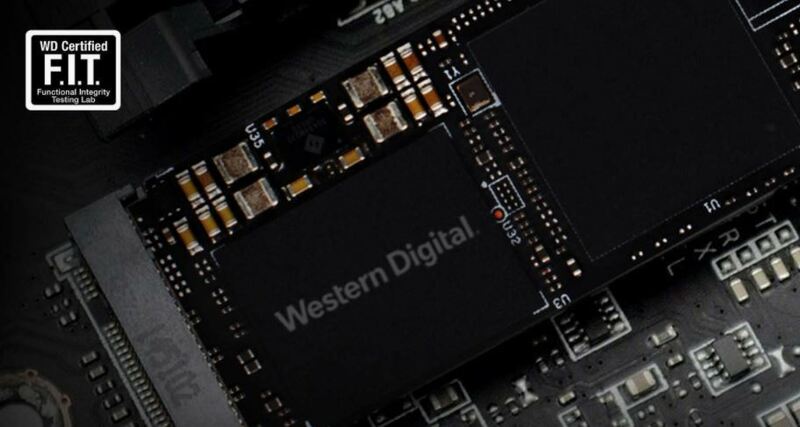 But SSDs with a PCIe design, like Western Digital’s NVMe drive, are a step towards blowing it wide open. That’s largely because this NVMe design is distinct from ordinary SATA SSDs. 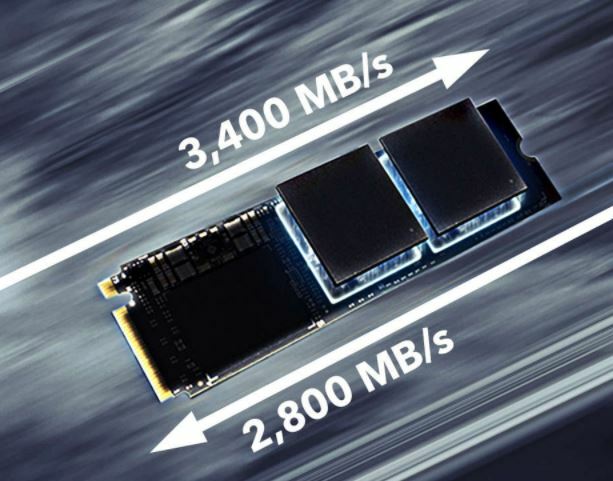 Western Digital’s 3D NVMe SSD makes a direct connection to your motherboard through a PCIe slot, which allows far better speeds than you can get with SATA cables. If you’ve used an SSD before, then you know they’re already quite fast. That might leave you wondering, who needs an even faster drive? The answer to that question largely comes down to an examination of the next generation of ultra-high definition media. For gaming, video editing, virtual reality headsets, you’re dealing with immense amounts of data that needs to be moved between your storage drives and RAM. Slower read speeds mean slower loading times for your movies and games. And slower write speeds will mean it takes longer to move large chunks of data between drives. When it comes to smaller file sizes, like 1080p resolution content, these differences in speed aren’t going to be something you can feel. Ordinary 1080p content simply doesn’t take that much space, even for the most gorgeous AAA games on the market. But when it comes to ultra-high definition file formats, the difference can be night and day. 4K media requires roughly four times as much data as standard resolution content, and ultra-HD resolutions are seeing greater adoption every year. Western Digital’s 3D NVMe series of drives are available in three types of storage capacity, 250GB, 500GB, and 1TB. Each uses the same PCIe Gen3 interface, covering to 4 lanes for a maximum 8 GB/s transfer speed. But the higher capacity drives aren’t clones of the lower capacity ones. As storage capacity increases, nearly every other aspect of the drive is improved as well. But for understanding the series, it’s a good idea to focus on Western Digital’s most accessible NVMe drive, the 250GB model. And on that drive, you’ll find an impressive sequential read speed of 3,000 mb/s, and equally impressive sequential write speed of 1,600 mb/s. 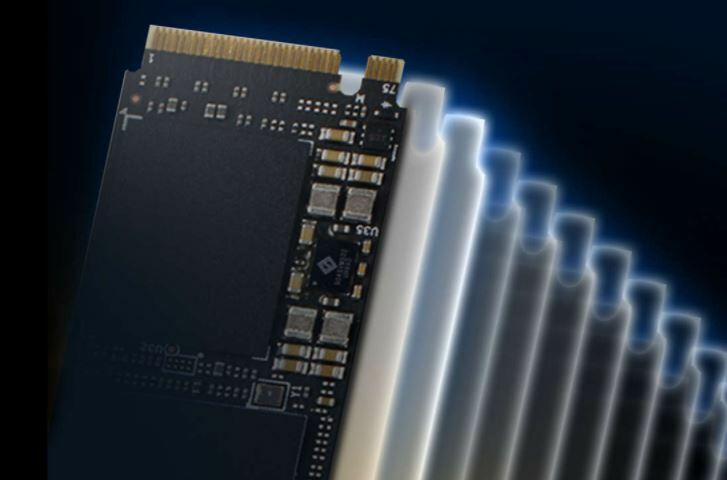 The 3D NVMe uses the ever-popular M.2 form factor. If you’re not familiar, it’s an exceptionally small design that’s roughly the size of a business card. Whether you’re using a small form factor case, or you’ve got two monster GPUs taking up all of the space in your case, you’ll have no problem fitting this drive smoothly into position. It’s really not much harder than installing a business card would be. One other remarkable thing to note about the design is its power efficiency. Anyone who knows about SSDs should know that one of their advantages over traditional HHDs is their great power efficiency. While HHDs have mechanically moving parts, SSDs are completely solid-state, allowing them to use less power. But in terms of power efficiency, the Western Digital 3D NVMe is a step above even other solid state drives. 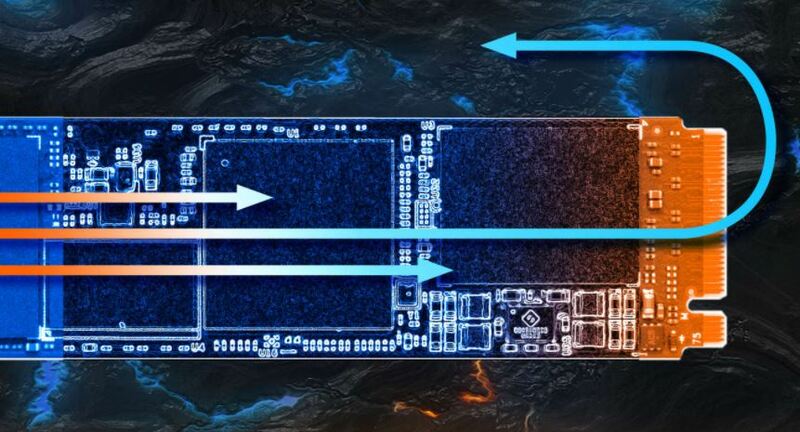 It offers extremely strong power efficiency, as good as 2.5mW, or roughly half the power of ordinary SSDs. That makes this an excellent choice for people building low-heat, small form factor entertainment PCs. Hard drives are one of the PC components most likely to break. Unfortunately, they’re also one of the parts you least want to break because dead drives can result in lost data. When you’re purchasing RAM or a motherboard, it’s not unreasonable to gamble by choosing a lesser known brand. But when it comes to hard drives, you’re gambling with your personal and professional data. Within the PC hardware industry, Western Digital is arguably the most respected hard drive manufacturer. Essentially anyone who’s ever build a computer knows the name. And that’s because they’ve earned a reputation for excellent products, and excellent customer support. But there are more concrete advantages for choosing large brands like Western Digital, especially when it comes to software support. The WD SSD dashboard software provides close control over operating temperatures and drive configuration. This drive also includes Acronis True Image software, which can help you clone your drives, and easily back-up all your data. One of the most compelling reasons to not use an SSD is that traditionally, they haven’t been able to hold up to as many read-and-write cycles as ordinary HDDs. Apart from being slightly cheaper and offering more storage space, HHDs had the advantage of being able to be written and re-written an almost unlimited amount of times. But in recent years, those strengths in endurance have finally been matched by SSDs. And the 3D NVMe is an excellent example of that kind of modern trend in action. Technically speaking, it’s equipped to endure 1.75 million hours of use, which is more than two human lifetimes. In other words, just about the only way this drive will fail by way of endurance is if you set out to intentionally damage it. Another thing to note is the 3D NVMe includes a 5-year warranty. When you’re buying computer equipment, warranties are important to protect you from the inevitability of bad products being mailed out. Statistically speaking, about 11% of drives will fail by the 4-year mark. But with that 5-year warranty, even if you’re among the unlucky 11%, you can rest easy knowing Western Digital will have you covered for five long years. That means the lasting power of this device may ultimately come down to its storage space. For playing only one game with high resolution textures, you can easily be looking at 50 gigabytes of data that need to be stored. For the purposes of playing 4K media, you’re looking at even larger file sizes. Consequently, this 250GB drive might look rather small in a couple of years. And at that point, you’ll either want to upgrade, or you’ll wish you’d gone with one of the larger versions of the 3D NVEe. Solid state drives that make use of SATA connections aren’t slow by any means. Even the most unremarkable solid state drive on the market will have maximum read and write speeds around 500 mb/s. That’s a respectable pace which can take on most forms of media. But the read and write speeds of the Western Digital 3D NVMe SSDs are between six and seven times faster. If you’re moving around huge quantities of data, like you might with 4K gaming, then you’ll feel huge improvements in performance. With games that use high resolution texture packs, you’ll easily see improvements in load times. But if you’re not pushing around huge quantities of data, then the performance differences will be almost indistinguishable from using an ordinary SSD. Ultimately, cost is the biggest issue with this drive. For the first few years that solid state drives were on the market, it wasn’t unusual to pay $3 per gigabyte. But in the time since, prices have fallen drastically. Today, it’s closer to $0.50 per gigabyte for a reasonably fast SATA SSD. By contrast, Western Digital’s Black 3D NVMe line of SSDs are nearly twice as expensive as going with an ordinary SSD. In other words, the NVMe has a terrible cost to storage ratio. But storage space isn’t exactly the point of this drive – it’s the read and write speeds that simply can’t’ be matched by SATA-based drives. 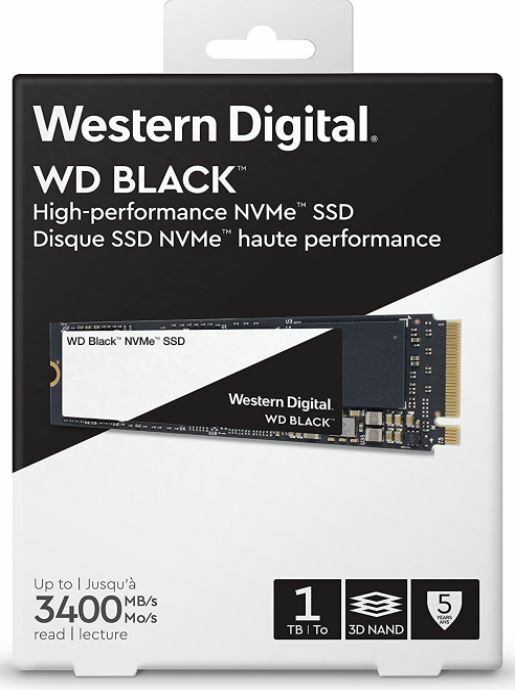 Who Should Choose the Western Digital Black 3D NVMe SSD? If you’re involved with high resolution content, whether in the form of movies of games, then this will be an excellent drive for your system. If you run a program that saves or stores large chunks of data to memory, and you want things to move quicker, then a PCIe drive like the Western Digital Black 3D NVMe is a great call. And for bragging rights, the NVEe line of cards will help you destroy online benchmarks. This drive is equipped to read and write much faster than an ordinary SSD. But the difference between this SSD and an inexpensive SATA SSD is like the difference between a consumer grade sports car, and a world-class sports car. Both are fast and powerful, and you’ll only be able to appreciate the differences under certain circumstances. For word processing, browsing your email, and watching videos on YouTube, there’s almost no reason to use this SSD over a SATA-based drive. But for heavier loads of data traffic, it starts to become more practical. It’s safe to say this drive can future-proof your machine. 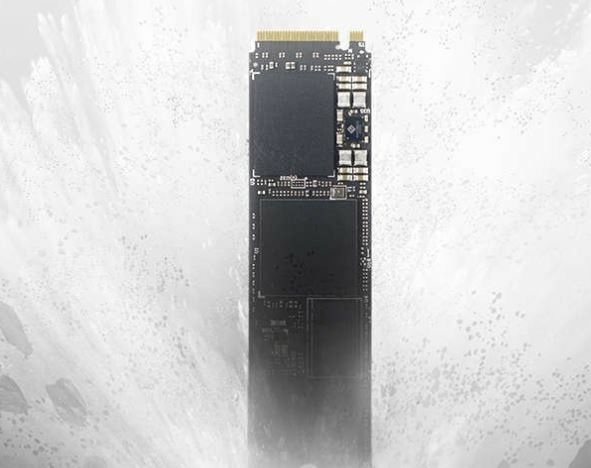 Short of some type of miraculous technological breakthrough, the speed offered by the 3D NVMe line of SSDs will likely remain competitive even at late as 2025. It’s hard to say anyone truly needs those incredibly fast speeds, but it’s easy to see why someone would want them. For someone looking for their first budget SSD, this isn’t the right pick. But if you want performance that’s so powerful it almost becomes impractical, then you can scarcely do better. This drive is fast enough to make anyone who’s computer-savvy truly envious of your rig.